I was invited to be a moderator in the 24 Hours of PASS: Portuguese Edition 2016 that took place between 14 to 18 November. I loved the experience, although we are just moderating the session, we are supporting the speaker and participants who are watching so that their questions can be answered and that everything goes smoothly. 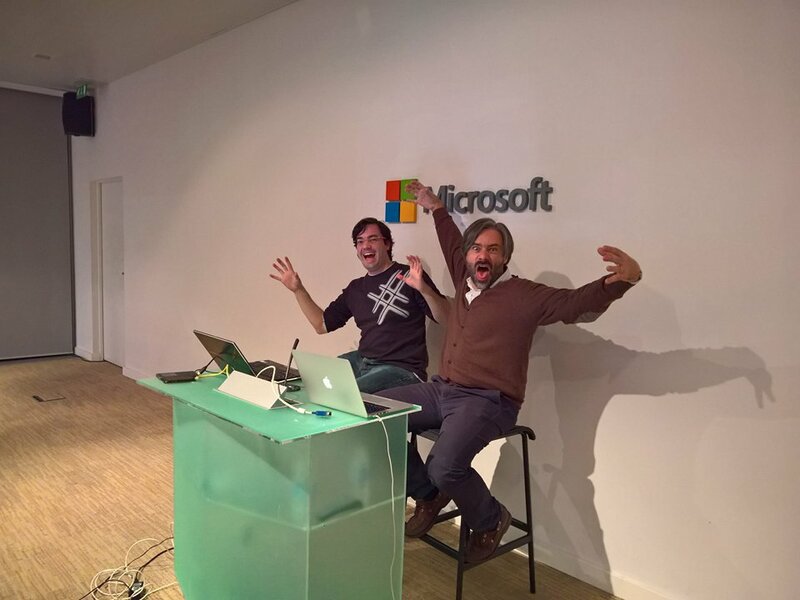 I have been a volunteer in SQL Saturday in Lisbon and Porto and it is similar but online. Be moderator is not just to connect the computer to the Internet watch the speaker and wait for the session to finish. It is necessary to test everything with the speaker, to ask if you want to answer the questions during or at the end of the session and more. I want to thank Murilo Miranda, Vítor Pombeiro, António Lourenço, André Melancia, to all the speakers and team of the 24 Hours of Pass Portuguese edition 2016. To Microsoft Portugal for having lending its facilities. And of course to all participants. This is not the first time I have a personal blog. To keep a personal blog is complicated when we have multiple projects. A project is not only that ' thing ' that we need to design, develop and deliver in the professional level. Everything is a project both personal and professional. For example, professional training you can learn alone and be a genuine self-taught or attend a course. Another example is the child in this great project that will origin subprojects, new projects and adaptations. It's funny but it's true! In my blog I talk about information technology since training and certification to technical topics. And all I have to say a big Hello World:).